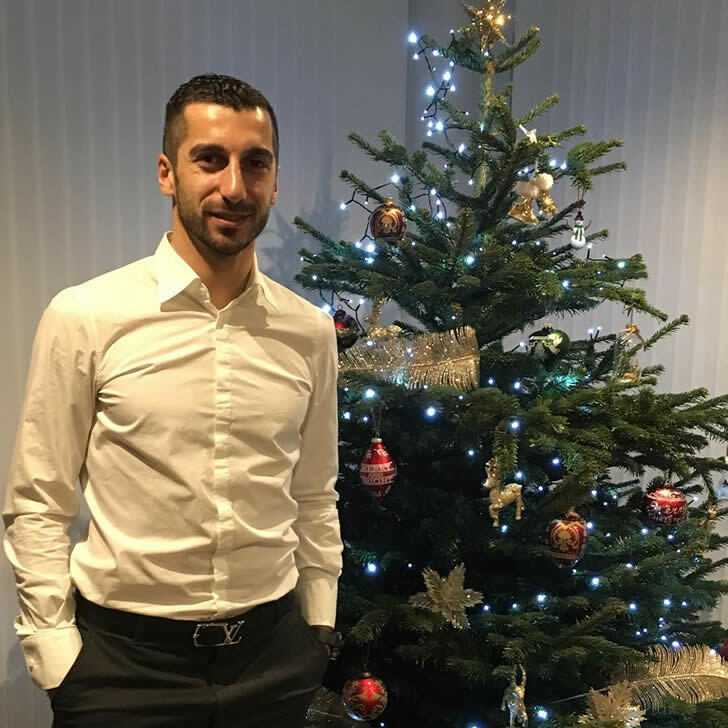 Henrikh Mkhitaryan has taken to social media to send a heartfelt Christmas message to Manchester United fans. The Armenia international has fallen dramatically down the pecking order at Manchester United in recent weeks as he has seemingly struggled to win over manager Jose Mourinho. The 28-year-old made recent substitute appearances against both Bristol City and Leicester City but still seems to be struggling to win a first-team place under the Portuguese coach. Mkhitaryan had started the season in fine form but he soon fell down the pecking order at Old Trafford. The playmaker will be hoping to feature when Manchester United return to Premier League action on Boxing Day with a home clash against Burnley. And the midfielder in the meantime had a special message for his followers on social media on Christmas day. Manchester United are aiming to return to winning ways in the Premier League on Tuesday after the disappointment of conceding a late equaliser against Leicester City in the 2-2 draw on Saturday. The Red Devils are currently 13 points behind leaders Manchester City in the race for the Premier League title.